If you live in Orange County and you’re anything like us, you’ve got a passion for jewelry. It’s also possible that you’re quite attached to the jewelry you own. Because jewelry can hold such a significant sentimental value, we often wear it more for ourselves, rather than for others. It’s also extremely hard to part with certain significant pieces, and it’s not always due to their monetary value. Because of this, when it comes time to part with your beloved piece, it’s important to find the best jewelry buyer in Orange County. Finding the best place to sell your jewelry in OC can be a daunting task. Due to the sentiment that certain items hold, you want to find an experienced jewelry store that pays top value. Furthermore, you want to ensure that the entire experience is safe, discrete and painless. Let’s explore how to find the best jewelry buyer in Orange County and how to get top value for your items. We meet with hundreds of people who want to sell jewelry in Orange County each month. Initially, they weren’t looking forward to selling jewelry they loved. Whether selling a diamond engagement ring or a Swiss watch, each piece holds sentimental value. It probably took some time and a lot of thought to acquire your jewelry. We understand this. That’s why it’s important to find a trustworthy jewelry buyer in Orange County. What makes a jewelry buyer trustworthy? For starters, they’re someone you feel comfortable selling your jewelry to. Furthermore, you want them to be respectful, understanding and honest. Finding an honest jewelry store that buys jewelry in OC isn’t as easy as it sounds. You’re going to want to start with doing some sleuthing. Start by searching for jewelry stores that buy jewelry in your area. To begin, jump onto Google and try some different searches. For instance, you can search Best Place to Sell My Jewelry, or try searching Where to Sell Jewelry in Orange County. Try a few different searches and make a list of the top jewelry stores to sell your jewelry to. Once you’ve got the list, head over to Yelp or other review sites. You can start reading reviews from other people who have sold to a jewelry buyer in Orange County. Searching reviews will give you a good handle on the way others view them and if the jewelry store has a good relationship with their clients. Remember to look for actual jewelry store reviews and not ones that seem over-the-top, purchased or fake. Also keep in mind that happy customers usually mean they got a great value when selling their pieces. Perhaps for some, this is the most important factor. People want to sell jewelry for top dollar in Orange County. This isn’t a new or far-fetched idea; we get it. There’s a fine line for most jewelry buyers in Orange County because most aren’t buying your jewelry simply in order to collect it. In fact, most Orange County jewelry buyers are more concerned with how much they can make when they sell your jewelry. Again, we come back to the trust factor here, because all jewelry stores that buy are in effect, businesses. That is, they need to make a profit in order to stay in business. That said, you’re going to want to find the best value when shopping for the best place to sell your jewelry in OC. This will come with some effort, but with the proper research and understanding the process, you’ll get it right. What is the Process of Selling to a Jewelry Buyer in Orange County? When selling your jewelry it’s important to remember a few vital things after the sale is complete. The jewelry buyer in Orange County will usually have to spend money and time after initial transaction as well. While this may seem mundane, it’s important to understand the process of what a jewelry buyer in Orange County must do after the sale. Hopefully it also helps shed a little light on the time and money spent after you’ve sold your jewelry and left. Furthermore, it’s important to keep in mind that each jewelry buyer in Orange County has a budget. If they buy jewelry in Orange County regularly, they probably set aside a specific budget for purchases. It’s always smart to call and ask if they’ll give you a free estimate for your jewelry. Now would be the time to provide details including whether the piece is certified as well as carat weight, etc. 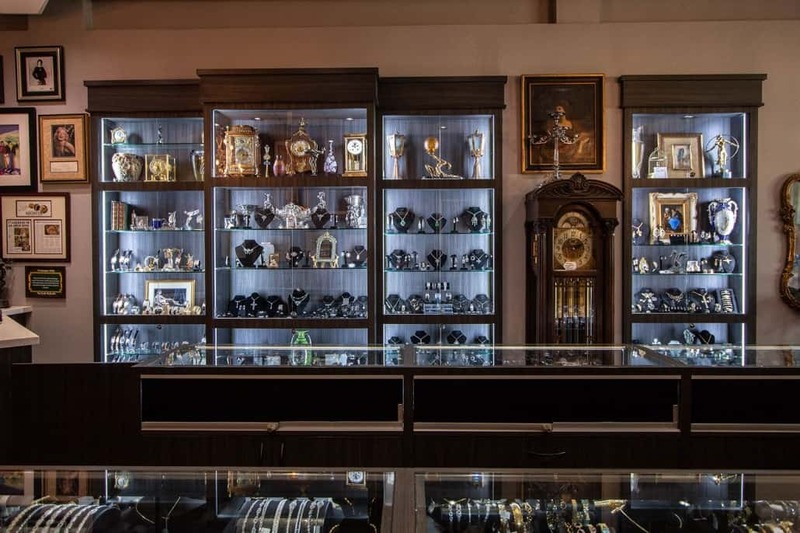 Watch & Wares has been collecting jewelry for over 35 years. It started with one man’s passion for all things luxury and grew from there. 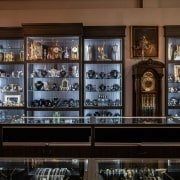 Watch & Wares has a reputation as the jewelry buyer in Orange County with the biggest buying power. We sell a lot of estate and pre-owned jewelry and thus need an incoming inventory every month. Because we have spent the last three decades as the best place to sell jewelry, we’ve acquired quite a collection. We’ve also helped thousands of OC & Los Angeles natives buy a piece that would have otherwise been shelved long ago. We think that’s special and that fine jewelry and how it makes people feel — that sentiment — should live on. As the biggest jewelry buyer in Orange County, we’re also able to offer customers top-value for their items. We know that not every customer wants to sell their jewelry, and therefore we treat each case like anything but a transaction. Your comfort and security are paramount to us, and so we work hard, quickly and with integrity. Swiss Watches, including Rolex, Patek Philippe, Panerai, Jaeger-LeCoultre, Omega, Breitling & More! Cartier, Bvlgari and Tiffany & Co. Check out other items we buy on our site! Call the Top Jewelry Buyer in Orange County & Get a Free Estimate Today! Our experienced jewelry buyers will answer your questions and take time to learn about your piece. If you need help identifying the jewelry you’d like to sell, we can help! While it’s best to bring your jewelry into our Orange County jewelry store, we can also give you a free estimate. If you’re looking for a safe and trustworthy jewelry buyer in Orange County, you’ve found us. We’ve been the best jewelry buyer in Orange County for over 35 years and it’s not by chance. Check out our 5-Star Yelp reviews or our 100% Feedback in our eBay & Etsy stores. We’ve got three locations to serve you, including our Tustin location where we buy jewelry from people throughout Southern California. Call us at 714-633-2030 today or fill our contact form and a jewelry buyer will call you to set an appointment and answer all of your questions!